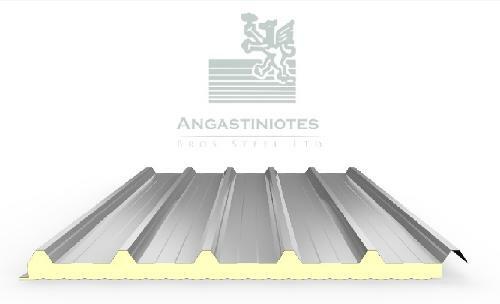 ANGASTINIOTES BROS STEEL LTD, Sheets, corrugated - ferrous metal, Polyurethane Sandwich Panel, steel deck, on EUROPAGES. Angastiniotes Bros Steel Constructions Ltd established in 1984 and rapidly spread into the field of industrial prefabricated buildings, hangars and other steel constructions. Our full range of steel materials and accessories, excellent services, accuracy, time and cost effectiveness consecrated us one of the leading steel fabrication and trading company in Cyprus.Our company, refining and improving constantly its technological program and the elaboration of new products, has forerun its times anticipating solutions imposed by a market in a continuous and rapid evolution.We are working according to the latest British and European standards and we offer a full range of services covering all the customer’s needs.